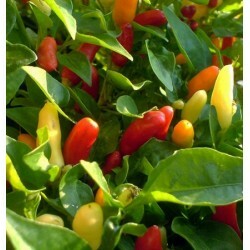 Basket of Fire is a hybrid variety, bred for the unique growing habit of the plant. 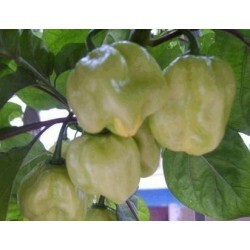 Only about 30 cm tall and spreads to about 50 cm; perfect for small pots, containers and hanging baskets. 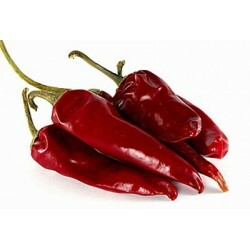 It is a good choice if you want to grow chillies outside. The plants will continue to produce well into the autumn even outside. 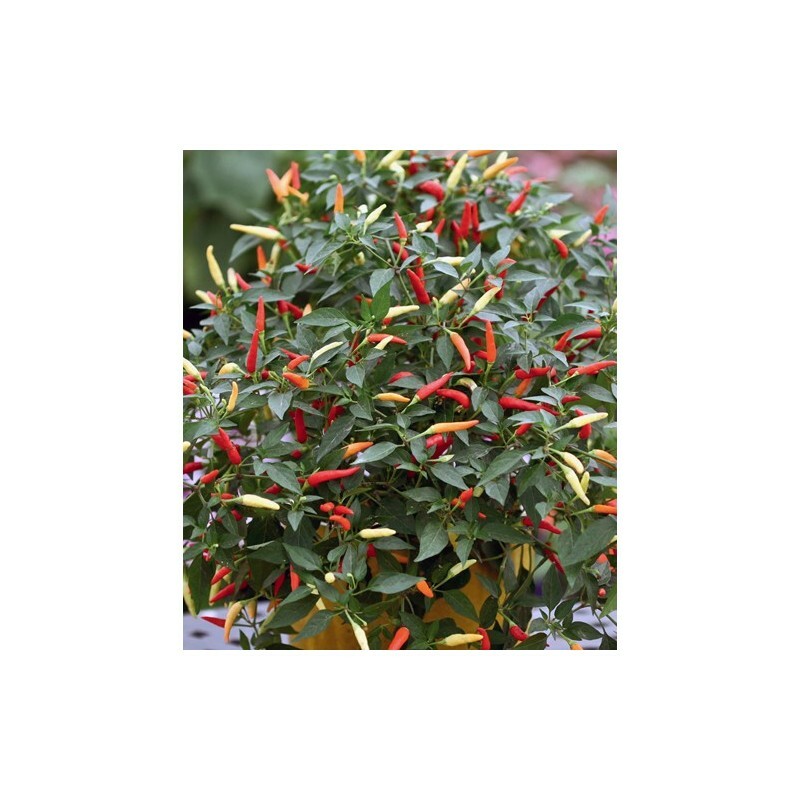 This colourful chilli variety produces hundreds of small, hot peppers which mature from deep purple through yellow and orange to a bright red, creating a fabulous display. 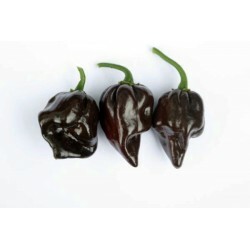 A great variety if you are new to growing chillies, also good for beginners the Jalapeno and Cayenne Red. Sow the seeds about 1 cm deep into a seed tray or in small pots or cells. Cover lightly, water and place inside at between 20-25 Celsius. To aid germination, place the tray in a plastic bag. Sow January-March. Germination can be slow with some hot peppers. As soon as seedlings are large enough to handle, prick out.Transplant the seedlings into small individual pots. Use rich compost and keep the plants between 20-30 Celsius during the growing season. For best production keep the plants in the greenhouse. Regular feeding is recommended.